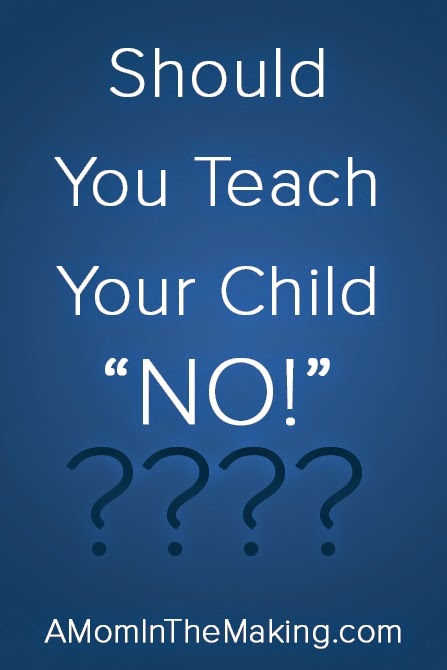 A Mom In The Making: Should You Teach Your Child "No"? 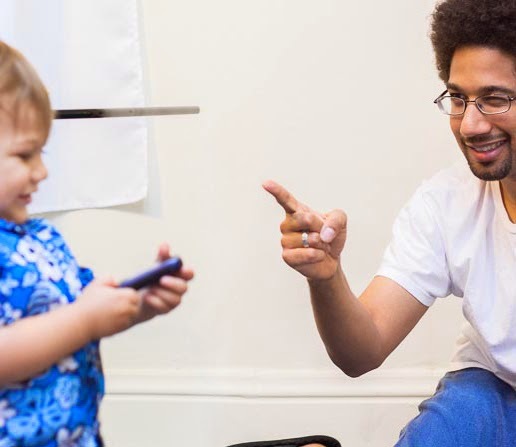 Isn’t it crazy how the first word kids learn seems to be, NO! Do you remember the first time that sweet little word escaped your child’s mouth? My husband and I plotted and schemed trying to avoid this predicament. And we succeed for quite awhile, he learned mom, dad, duck, and ball. It seemed that the concept of no hadn’t entered his small mind. Then one day it clicked… he didn’t say no, but he just looked at us and shook his head. Although he didn’t have the word, he understood the concept. We realized that while my husband never said no to him, he would shake his head when Charlie did something wrong. Charlie picked up on this and realized that when you disagree, you would shake your head. When did your kiddo learn the concept of no? Was it with shaking the head or the word? Then one day it hit… probably a week or two after he started shaking his head. I hear from the other room, no, no, no, no. He wasn’t saying it to anyone, but he certainly knew the word. We tried to play if off like we didn’t know what he was saying. Nose? I guess around this time he also learned where his nose was… Because now when he says no, we’ll question him and say, Nose? 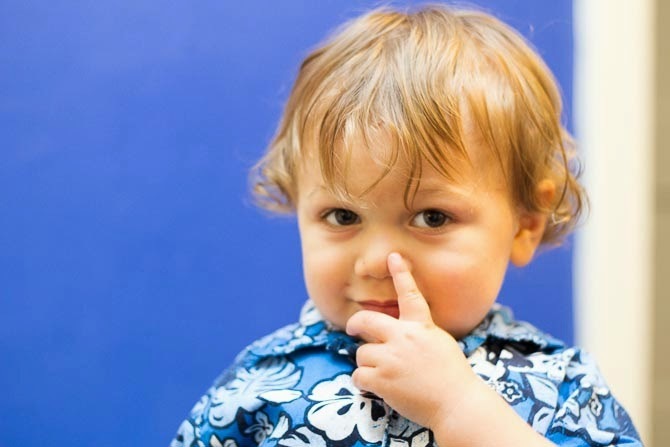 Then instead of pointing to it, he sticks his finger clear up his nose. How did you handle your kiddo learning the word no? It's my understanding that "no" is a developmentally important concept. How do you understand yes without not? How do you understand the concept of obedience without the concept of "no"? They have to be trained that "no" isn't an acceptable response to Daddy's or Mama's instruction, obviously! But there's a reason every child in the world goes through that stage. Rachel, that's a good point :) Do you have kiddos? How did you teach them "no" without them using it back at you? I have four. As you noted, it's not exactly something you have "teach" them, per se. They figure out all on their own how to disobey. And *telling* them no just naturally happens. "No stairs." "No; don't touch; that's hot." And then they do try to use it on us. We just tell them something like, "You may not tell Daddy no," and repeat the instruction. Eventually they figure it out and *know* that, and they're disciplined for trying it. But in the beginning they're just figuring that out, so we just tell them but don't make a big issue of it. You can tell when they make the transition - again, just like you noted. There's that *look* - and you can almost read what's going through their little minds. At that point, you *know* they *know* and are just choosing to disregard. That's been my experience, anyway. Finally got to check out your blog :) You've got older kiddos so you can do a lot of things we that. I was really enjoying checking out all your different posts. How did you choose what categories to write about?